Hi – I’m Kat Springer and I’m The Organised Housewife. As a mother of three children, all now young teens. I began blogging years ago as a way to share my tips and tricks to keeping a happy and organised home. With three kids (twins + 1) under two at one stage of my life, I simply had to get a handle on home organisation and very quickly – for mine and my husband’s sanity. I’ll be the first to admit that I love a chart, a checklist or a planner to help bring even more calm and organisation into the home. I also know that every home and every family is unique and there’s not a one-size-fits-all approach to life. All my tips can easily be adapted to suit your individual circumstances. Growing up I idolised my grandmother, she kept her home neat, tidy and clean. One thing that I remember delightfully about her was that whenever we visited she always had home baking ready for us. She had 7 children of her own, with 20 plus grandchildren. I would spend my school holidays with her, crafting, baking and I would help her with the housework. Growing up I just wanted to be like her. Sadly my Nan passed away a year after I got married. I wasn’t a mother at that stage, but when the time came I had so many questions to ask her. She had twins too and I am sure she could have given me some heartwarming advice when we had our twins (boy and girl). After having my babies I felt so tired, washing was piling up, clutter was crowding our dining table and I was just emotionally drained. I put on a happy face at times while deep down it was a struggle. I didn’t want to be like this, I had a different vision of motherhood. Really changing the mindset and remembering what I wanted in being a parent. I managed to pick myself up and create some routines and schedules that worked for me at that crazy time of my life with twin babies. 2 years later we then welcomed our youngest daughter. A few years ago I lost my mother. I found myself in the same state of tired, loneliness, lost my control or desire to keep up with the housework. Losing mum was a shock, as it all happened so suddenly. Looking back I think it took me quite a few months to come to terms that she really was gone. Mum and Dad lived in a large house with 12 acres, too much for my Dad to upkeep. Understandably the pain he was going through was too much and he wanted to move, but it wasn’t an easy job. My mum was a hoarder. Looking back we think the trigger of her hoarding was losing her mother (my Nan that I speak about above) and at the time she lost contact with many family members. All this was a lot for one person to emotionally bare with. When this happened I had just had 2 little babies and sadly didn’t notice the extent of the emotional pain she was going through and the comfort she turned to in hoarding. My Dad, brothers and I took nearly 6 months to get the home ready for sale. We had to go through all the boxes and items that mum collected over the years, selling items, donating them to charity and as hard as it was we threw quite a bit into the bin. It was so emotionally difficult because Mum struggled with the concept of throwing anything out. We were beating ourselves up with questions of why didn’t we try harder to help her, but honestly when we did she was hurt at the thought we wanted to throw her ‘stuff’ out. 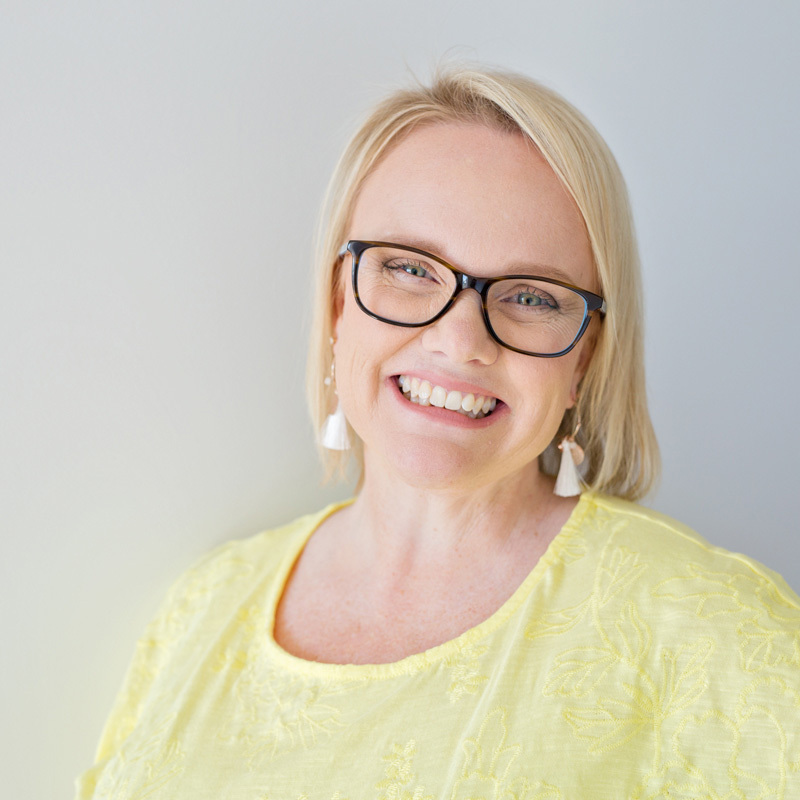 From this experience I want to help those that feel overwhelmed by their clutter, to step by step declutter their homes and enjoy the space they live in. I started The Organised Housewife blog in August 2010 because I wanted to share my recipes, printables, tips and ideas of how I keep my home clean and organised. 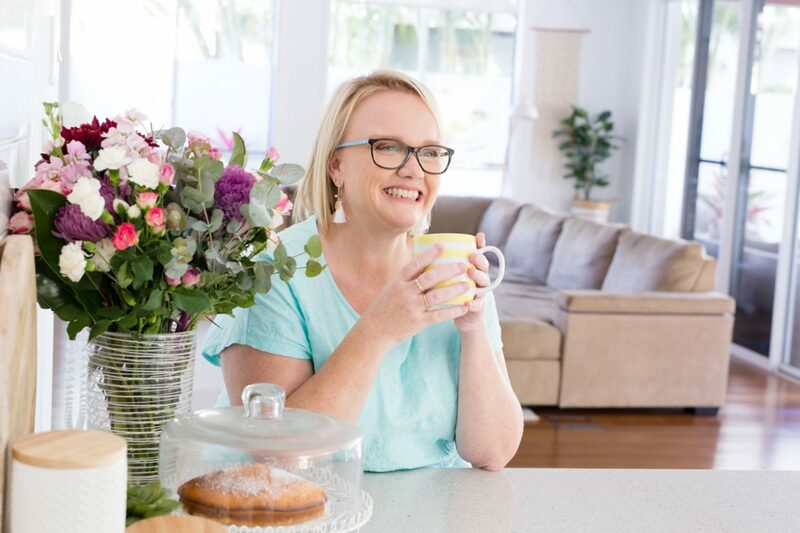 To share the journey that I have taken in creating routines that helped me through tough times, find ideas that help make home life easier, and to help somebody like my mum to reduce their clutter so they can enjoy their home, comforts and space around them. Read the ideas I share via the blog posts and adapt them to suit your family. I am not an expert, just one mum sharing a journey of how we manage our family and home. But do remember, I’m not saying this is how it should be done and what works for one family may not work for another, but you could just tweak the idea slightly to adapt to suit your family. Via The Organised Housewife blog, facebook and instagram I provide readers with daily tips and ideas to keep them and their family organised. Ideas to create new habits like making the bed first thing in the morning, creating a routine for the kids to make mornings chaos and frustration free or suggesting areas to clean that you may forget about, such as the dust on the ceiling fans. My aim is to motivate and inspire readers to enjoy the journey they are living with their family while easily keeping a tidy home. I have also created a cleaning checklist which will help you with your weekly cleaning routine. Join me in creating a home you will LOVE!